This volume brings together a range of linguistic, sociological, and professional views on communication in surgical practice. It aims to provide an insight into the complexity of communication in surgery, covering the variety of communicative activities required in everyday surgical work. The selection of authors from a variety of interactive sociolinguistic disciplines in collaboration with clinicians explores a broad range of topics and the methodologies currently used to understand communication in surgical practice. The intended audience for this book includes surgeons, medical educators, communication researchers, linguists, sociologists, and others with an interest in surgical and medical communication. 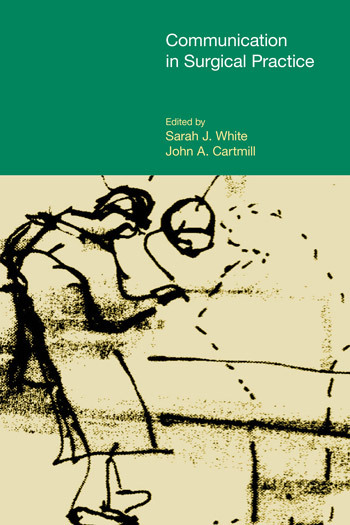 This volume has significant academic merit and fills a gap that currently exists in the academic literature – pulling together a variety of perspectives on communication in surgery.